"10 Reasons Why You Should Consider Magento For eCommerce Store"
"Impact Of IOT On Mobile App Development"
Being an online entrepreneur, you can expect great opportunities and challenges for this year’s holiday season, which is coming pretty close in a flash. Entrepreneurs who put great endeavor into curating brilliant and effectual holiday promotions strategies on their store are going to promise big sales on this year’s holiday season. 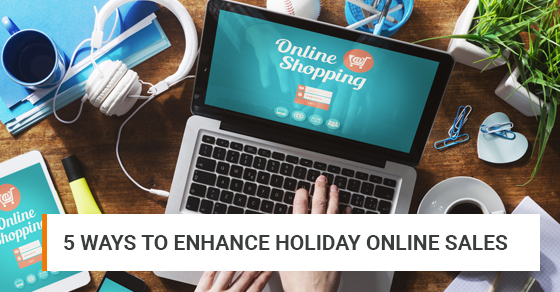 Let’s check out 5 ways to enhance holiday sales this 2016. Using pop-ups for displaying your holiday offers is one of the effectively proven ways to influence your visitor to make a purchase. In contrast from a normal popup which asks for customer’s email, revise with a rewarding offer coupon making it a win-win offer that prompts your visitors to purchase. Be creative and inspiring with holiday-themed coupon popups to put your visitors in the holiday shopping mood, As this is the time holiday shoppers have been saving the whole year for, Showcasing your discounts and best value deals will help to influence them hence improving the checkout rate. On holiday season, discount bundles is one of the most favored deal where online shoppers look for. This is the perfect time as they are in the right holiday-shopping mood, to bundle items and upsell & cross-sell to online shoppers. Once Amazon disclosed that 35% of their total revenue follow from upsell and cross-sell deals. Reason is selling more to current customers is easy-peasy than selling to new ones. When customers buy a product, chances are high for complementary items to complete the package. By upselling & cross-selling more items to current customers can upsize the order value per customer and contribute a big increase in total sales. 67% of shoppers just leave right before checkout so you have to put so many efforts to bring customers to the end of the conversion funnel regardless of the friction. At this point exit-intent technology can execute: detect customers who are about to drop orders and leave the store and show a last-minute offer which can be a free gift, discount code, free shipping or any other add-ons. Especially on holidays shoppers are elastic to price and promotions, definitely a last-minute deal will make them seriously think again, and turn into paying. Mobile shopping is truly rising in 2016, now this time bring online shoppers to your store tapping the screen as touching real products and making them ready to buy. Getting a mobile app is the best way as 50.3% of all e-commerce traffic is coming from mobile devices. Thereby you can send push notifications to customers’ phone with your mobile app in spite of sending newsletters. With push notifications, personalization can be made easy and you can also ensure a personalized touch to every shopper. Mobile app send a triggered alerts to engage shoppers and get them come back to your store. Emails; live chat popup, voice calls are behind in this era of social media. Facebook messenger is where you can deliver a wow experience to your shoppers. Messenger is the simple, instant and cost-saving channel to answer queries from the shopper and turn them into paying Customers. As they are talking with real staff from the store, chatting with you gives them a special feeling on them. When you have history conversation with shoppers, you can easily catch up them anytime to introduce new products or promote promotion campaigns. People may ignore email, they definitely check 99% of Facebook messages. There is no sales without investing efforts into the work, from preparation to execution. Only a marketing strategy will make or break your holiday sales. Execute above ways on your store to create your dream year now!